Love it or hate it, there’s no getting around small talk. It’s a staple of everyday living. 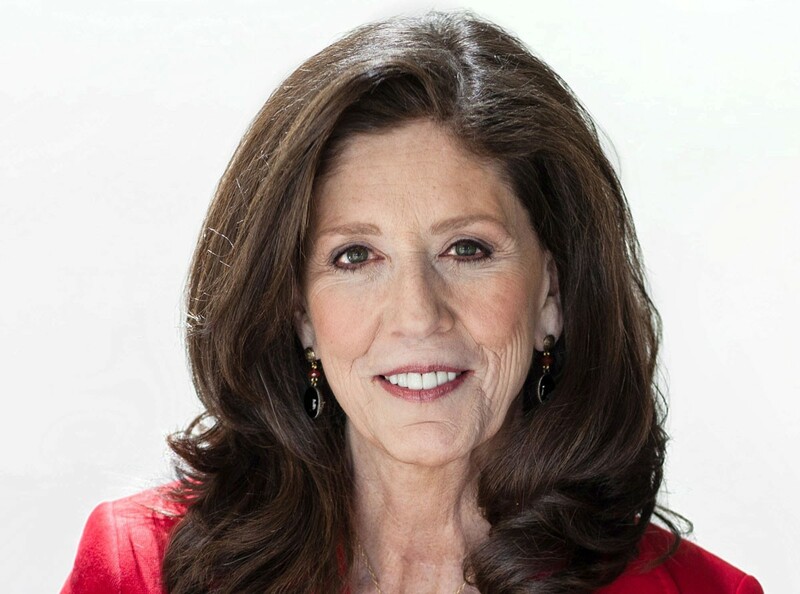 Meet Debra Fine, an internationally known speaker, trainer, conversation expert, and best-selling author of The Fine Art of Small Talk series. At one point, she was a single mom with sole responsibility for her two children. Fine has made numerous appearances on NBC’s Today show, and not long ago was featured as a cover story on CBS’s Sunday Morning. She talks and people listen. In full disclosure, Fine is a good friend of mine. We first met a few years ago in Denver when I set out to become a keynote speaker and was looking for support and mentorship. As you can imagine, Fine had lots to say. She kept talking, and I listened and learned. I hope you find similar inspiration in her words. A: I was awarded sole custody of my very young children, which meant that I had full responsibility. Living with the constant challenge of paying the bills was the biggest stressor. During their early years, I became a stay-at-home mom (and embraced it). But when my world, both personal and financial, fell tumbling down at my feet, I needed to return to work, which meant finding child care. Day care wasn’t an option; I had to find a way to maintain balance and stability for my children at home. So I made it a goal to earn enough money to afford high school students and babysitters when I could. I launched my speaking and training business at night with those handy high school babysitters. A: I taught a class called The Fine Art of Small Talk at Colorado Free University, a lifelong learning center. About a year later, a student asked me if I might shorten the content and be willing to present this as a keynote to her association. She offered me $1,000 plus all travel expenses. This was like winning the lottery! Well, that one opportunity inspired me to sell my program to other associations and corporations. It had never even occurred to me that I could turn my workshop on small talk into a full-time business that would support my family. A: I first self-published the book in 2002 at a time when self-publishing was thought to be demeaning to an author. I’d been unable to land an agent and publisher, so I just decided to do it myself. I was determined to make the book a success, and this, combined with my rising career as a speaker and trainer, led St. Martin’s to come courting. Because of their interest, all sorts of opportunities opened up to me: suddenly I had my pick of literary agents, and the book went to auction to the highest bidder. Hyperion (now Hachette Book Group) purchased the rights to The Fine Art of Small Talk along with the second in the Fine Art series: The Fine Art of the Big Talk. Q: You are very bold. What can ESME readers learn from your assertiveness? A: Every time someone told me I could not do something, I did it anyway. I am a rebel at heart, a contrarian, and have always been one. This is my best and most worthwhile talent. Also, I was too ignorant to know the “right” way to do things. Q: Back to small talk. What’s your motto? Q: It can be daunting to feel “other than” as a Solo Mom in a couples’ world. A: One of the most important lessons I learned on my way to divorce is that although I, along with all my girlfriends at the time, exhibited what appeared to be a happy marriage, there are cracks and stories most people do not reveal until their house of cards impales itself. We put our best face out there to the world, but it is not always our truth. Don’t be intimidated by the success of others. Be yourself. Start by treating people as you wish to be treated . . . “Tell me about your family . . . ” or “What keeps you busy outside of your kids?” Let small talk be your appetizer. Q: What’s the single most important thing a Solo Mom can do to assert herself? Q: What’s the best way to strengthen conversational skills? Learn more about Debra Fine, her presentations, and her books—including her latest, Beyond Texting: The Fine Art of Face-to-Face Communication for Teenagers (Canon Publishers, 2014)—at www.DebraFine.com. Check out ESME’s app for Solo Moms.